Lamifil won the largest contract so far to upgrade several 220kv and 66kv lines for Administración Nacional de Electricidad (ANDE), Paraguay’s national electricity supplier. The choice for Lamifil was based on its proven experience and the superior performance characteristics of its market-leading composite core conductors. The project promises not only increased capacity but also significant improvements in both efficiency and reliability. Significantly increasing the number of ANDE’s overhead lines equipped with ACCC conductors, it confirms the trust that the utility is placing in this innovative technology and Lamifil. 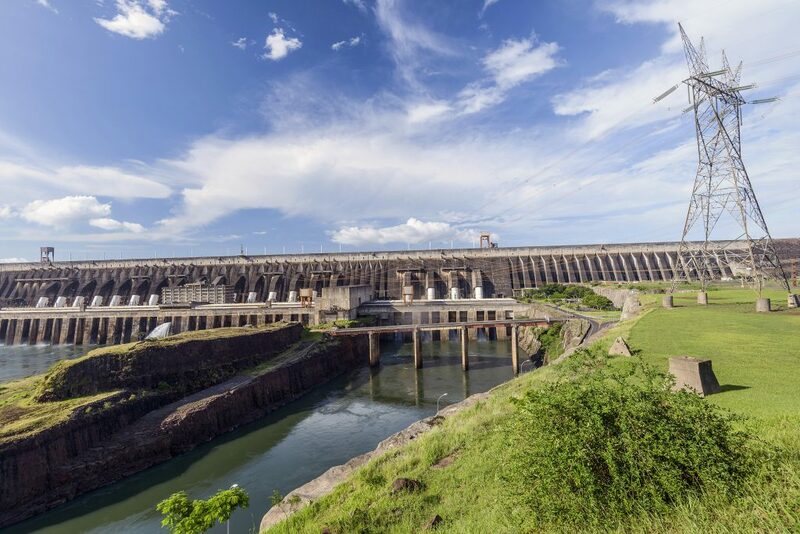 As 50% shareholder of Itaipu Binacional, the world’s second-largest hydropower plant, ANDE plays a critical role in the distribution of one of Paraguay’s most important export products: electricity. In order to boost both efficiency and reliability, ANDE was looking for a cost-effective solution to upgrade its existing 220kv and 66kv lines. Recurring line losses, frequent sag-related power outages and budgetary constraints called for a robust solution that could also be integrated within the company’s existing infrastructure. Lamifil was contracted to deliver ACCC Brussels 430 to connect the substations of Margin Derecha and Itaqyry over an 80km circuit. Previously Lamifil already supplied ACCC Brussels 430 and ACCC Copenhagen 230 ACCC conductors. Lamifil also supplied a range of line hardware fittings and specialist tools enabling the retrofitting of the composite core cables to ANDE’s existing tower infrastructure. The increased capacity and tensile strength of the ACCC composite core conductors promise significant reductions in line loss. Their high resistance to sagging also virtually eliminates the risk of power outages resulting from clearance issues, without the need for additional infrastructural investments. As such, the project will lower the total cost of ownership of ANDE’s lines while safeguarding the continuity of supply for their customers: a clear win-win scenario for all concerned.